The Middle Atlantic PPM-8-12 8-Space 12" Deep Hinged Panel Mount features a unique pivoting design that provides easy rear access to your equipment. Provides 14" (8 Space) of racking height. Swinging the rails down provides easy rear access to your equipment. The innovative "positive stop" design opens 90°, facilitating punching down while the panel is fully open. 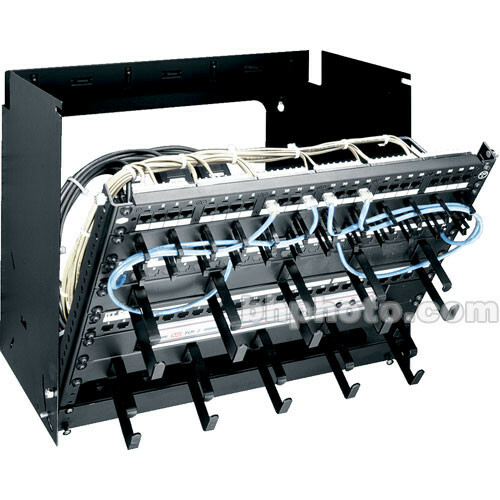 Includes abundant internal tie points for cable management. Box Dimensions (LxWxH) 23.0 x 18.0 x 14.0"